I found this hilarious picture online. 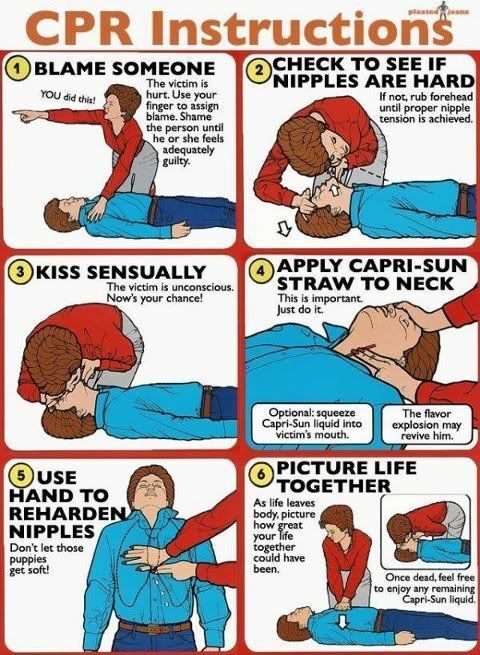 Someone took an old CPR instruction page and edited it, made me literally laugh out loud, thought I would share it here. Well, I never thought of CPR in that way.